Seaman’s Book renewal is now made simpler. With the introduction of online appointment, seafarers can book a schedule in advanced even when they are still on board. Given proper implementation, this method must be faster and more convenient for everyone. Walk-ins are still entertained but you must be at their branch early. First timers can apply for a seaman’s book using MARINA’s online appointment website. 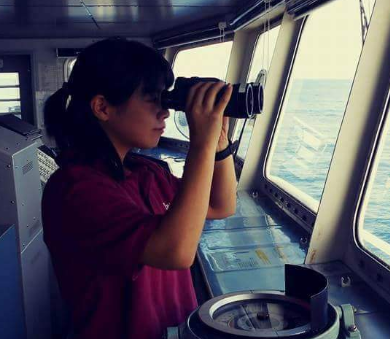 Your passport may be your ticket to the world but for us mariners, our seaman’s book or Seaman’s Identification and Record Book (SIRB) is our pass to the seafaring world. International law and every local regulation require every seafarer from their respective countries to have a seaman’s identity document before they could work on ships. Note: Preparing these requirements in advance will ensure faster and smoother processing. Bring the original and photocopy of the said documents. Once you have all the requirements above, proceed now to the first step. 1. Online appointment thru MARINA’s online appointment website. This is MARINA’s website for online appointments and application including filing of COP both for seasoned seaman and first timers. Scroll down the information while reading it before proceeding. Once you understood its content, click on “SET APPOINTMENT” at the bottom of the page or on top of it. They may impose strict instructions on their site especially the “only confirmed appointment will be entertained/ accommodated by MARINA”. This is correct but not for all branches. 2. Fill up necessary information. After clicking the “SET APPOINTMENT” button, you will now start to fill up the necessary information needed for your Seaman’s Book. Click on the box to fill it out one by one. You can set your desired date and time for your appointment. After that, press next and another form will appear. Continue filling it up until completed. Only the ones marked with *red asterisks* are mandatory. Others are optional. This task is the part where your appointment saves time. It speeds up the processing of your seaman’s book renewal since the system saves your details in their database. When you go to MARINA Office in SM Manila, MOA or Region 6 Office, the processor no longer needs to manually enter your personal information. 3. Click “SUBMIT” once finished. A new page will show you the form that you filled in. Double check your work to ensure that everything you entered is correct. Remember that the details you typed here will be the same information used in your seaman’s book. It’s important to have it free from errors. 4. Click “PROCEED” when satisfied. Your online appointment is almost finished. Take note of the reminders on the next page. Other requirements are also listed there for your guidance. Download your application form on the “download your application form here” button. 5. Print your SIRB Application Form. If you have a printer connected to your laptop or mobile device, print it directly. Or you can save it in a flash drive and print it somewhere else. This is very important. You cannot apply/ renew your seaman’s book if you won’t present a copy or proof of your SIRB Application Form. The guard will check if you have it together with the other requirements upon showing up on your appointed schedule. On your appointment schedule, show the guards your SIRB APPLICATION FORM. He will guide you to special queue exclusive for online applicants either renewal or first time. Remember to bring with you the necessary requirements mentioned above. These documents are used to verify your identity. During the Image Capturing section, you will be required to wear a uniform. There are uniform rentals available nearby their office. Once the counter evaluator validates you documents, proceed to the Cash Section and pay the applicable processing fees. Regular and expedite process has different payments. Also, take note of these fee formats. After submitting your requirements, proceed to the windows/counters for Image Capturing with your appropriate uniforms. POEA Central Office sa Ortigas Avenue, Mandaluyong City. It’s still not clear if you can process your SIRB application in various Regional Offices of MARINA. For more information, kindly call them at 524-2972. You can also call their regional branches nearest you. Their contact details should probably be found around the Web. b) Courier delivery to your home. If availing of the delivery service, proceed to the Delivery Counter to pay for the delivery fee. The last time I checked, seaman’s book renewal and application process will be much more faster. MARINA plans to install a second satellite office to ease the backlogs of seafarers. The new office will also cater walk-in and online applicants. For more questions, call 524-2972. Lately, I checked their online appointment system. It’s user friendly and very simple to use. Filling out the forms are quick and seamless. However, I noticed one single problem that needs to be addressed. Please be aware of this before you decide using their web-based application system. 1. Latest available slot is JANUARY 2020! As of this writing, available slot for 2019 is FULLY BOOKED! But this can be a two-edged sword. You can take advantage of this if the circumstances permits. However, booking your appointment ONE YEAR ahead is quite impossible. There are many factor to consider like when you are still on board waiting for your contract to finish. When your SIRB is 9 months away from expiration and the agency requires you to renew it, online appointment may not be for you. How was your experience with MARINA’s online appointment system? Share your thoughts on the comments below. May the winds be on your favor. Subscribe to our mailing list and get free updates! Do MARINA require Flight Details for Expidite of SIRB Applicants? Hi Orly. Flight details are required for the processing of expedite SIRB Applicants. As far as I know, Expedite letter is also needed. Both can be obtained from your manning agency. The steps are laid out in the article sir. They’re paired with pictures. But in case you haven’t booked an appointment schedule, you can still go there as walk in. Your SIRB will still be processed. Yep. MARINA is doing a pretty good job now when it comes to processing not only our COPs but our SIRB as well. Big improvement! Where can I get a documentary stamp? Doc Stamp is available inside MARINA at P25.00 each. But you can always buy somewhere else like the City Hall. As per the latest update from Marina, Marina no longer sells documentary stamps as this is already included in the payment for processing COP. Sa medaling salita, LIBRE na po ang documentary stamps. Hello. Sa loob lang po ba ng office pagkukuha ng documentary stamp? Hello Don Good Day. Kelangan mong kumuha ng bagong Basic Safety Training since luma ang sa iyo. Ipa-COP mo rin iyan. We have new regulations already regarding training competencies since the Manila 2010 Amendments. Sa kaso ng SIRB mo, pwede mo pang irenew yan basta comply ka lang sa requirements. Visit the MARINA Office for more info. Walang nagmomonitor ng entries sa online appointment nila sir dahil automatic na pumapasok sa database nila ang mga nagpapa-appoint. Saka na machecheck at mveverify ang entries mo dun pag kausap mo ang assessor at dun pa lang nila malalaman na 2001 pa ang BST mo. At since 2009 pa ang SIRB mo, mas maganda punta kayo sa MARINA office dahil pati yung mga lumang certificates mo nyan kelangan palitan. Magtanong na kayo ng requirements sir from SIRB to COPs. This will save you a great deal of time and effort. hi sir.. pwede pa rin po ba mag renew ng sirb kahit hindi nka online appointment? or walk in? and sa marina pa rin po ba or sm manila? I’m not sure kung pwede prin walk-in dun sir pero sa website nila, required ang appointment. Pero sa tingin ko naman pwede pa walk in especially kung sa provinces ka magrerenew. Sa ngayon kasi, mid April pa ang vacancy nila for online appointment so kung gusto mo maaga kang maka-renew, mag-walk in ka nalang at suggest ko sa probinsya..
Sir mag aaply sana ako new SIRB pwede ho bang walk in? Sir pwede po ba ung NBI na multipurpose ang gamitin pag mag aaply ng SIRB ? Pwede siguro yan pre. Wala namang specified dun basta NBI clearance lang. Sir last na tanong nlng ilang araw makuha ung SIRB? I would like to know your schedule to get for seaman book ? Hello. You can check schedule for SIRB application in their website. Hello Jayson. I can’t give you an accurate answer of that since I am in any way not affiliated with MARINA. Please contact them with regards to your question. Pwede appointment or walk in at pwede rin sa marina o kahit saang marina satellite offis (including sm manila). Where to COP the BT Certificates Sir? ok lang ba MULTIPURPOSE CLEARANCE ang purpose sa NBI clearance? Yon kasi nakuha ko. Hindi VISA SEAMAN ung purpose nakalagay. NBI Multi Purpose Clearance is now the only type of NBI clearance issued. You can use this for whatever purposes both local and abroad including processing your Seaman’s Book. sir ask ko lang po kasi isang buwan na at di pa rin na release yung prinocess ko na seaman’s book. I kept on updating kung kelan pwede but they only replied na the booklet and stamp are not yet available. Di pa rin ako nakakapag-apprenticeship. Ano po pwede kong gawin about this? San nyo nirenew sir at kelan? The best thing that you can do for now is to wait kung kelan maayos ung problema nila. I think ung provider nila ng booklet ay hndi nkafullfil sa kontrata nila with MARINA. Pero alam na ng MARINA to and they are finding ways to solve it. You can also try to ask them kung pwede ilipat ang processing at releasing ng SIRB mo sa ibang branch na accessible sayo at may supply na booklets/ stamps. hi, what is the requirements to get the seamans book for the newbies ? The requirements for new applicants is the same as to those who are in for re-issuance. Kindly bring original and photocopy. hi sir ask ko lang meron pa po bang kuhaan ng picture doon or kylangan ko tlga mag dala ng uniporm to take photo. thank you. The last time I went there to renew my SIRB (2017), I just went to a photobooth nearby as what many other seafarers did. Tapos binigay namin ang picture sa MARINA. That branch was in SM Manila. I’m not sure if they still that today. sir ask k lng pano ba mgpa apointment sa poea ortigas..malapit lng ksi ak dun,,pa renew sirb.ngtry ak mg online apointment kso sm mnl lng walng choices..gusto k sana sa poea marina pa renew..
Sir pwede ka walk in sa poea ortigas. Hi sir ask ko lng ilang days ang regular kc Mindanao po kc ako malayo at yung expedited na lng sana kahit mag hintaya ko ng 7 days like passport. What is MISMO or the MARINA Integrated Seafarers Management Online System?